Dirty rice isn't actually dirty, it's just a name. Most common in regions of Southern Louisiana and Mississippi, its use of holy trinity of New Orleans cooking. In 1604 the French colonized Acadia, the region surrounding present day Nova Scotia. Disputes with Great Britain over the sovereignty of the territory quickly arose. Over the next two centuries control of Acadia shifted between the French and the British, highlighted by interminable armed conflicts, political haggling, and treaties. Finally in 1785 the British had the upper hand and forced the Acadians from their homeland. The Acadians then migrated to Louisiana where successive translations of their name produced the term “Cajun.” Cajun cooking, a hearty and rustic mixture of French and southern US influences, relied heavily on pork fat and spices. Creole, the other major New Orleans culinary force, was a fusion of French, Spanish, Caribbean and African cuisines. It was differentiated by a greater use of butter, cream, and tomatoes, and was considered more refined. New Orleans is known for transforming legendary dishes into newfound classics. 1997... Victor Mills died. He was a chemical engineer who worked for Proctor & Gamble. Among his many accomplishments, he improved Duncan Hines cake mix, and Jif peanut butter. 2009... The last issue of Gourmet magazine was published this month. Cook rice according to package directions. In large pot, add ground pork and ground beef. Cook until brown. Add onions, green bell peppers and celery, cook until tender. Gently fold in cooked rice and parsley. Season with salt and pepper. Enjoy! Why they even have such a name for a dish? Simple to make. 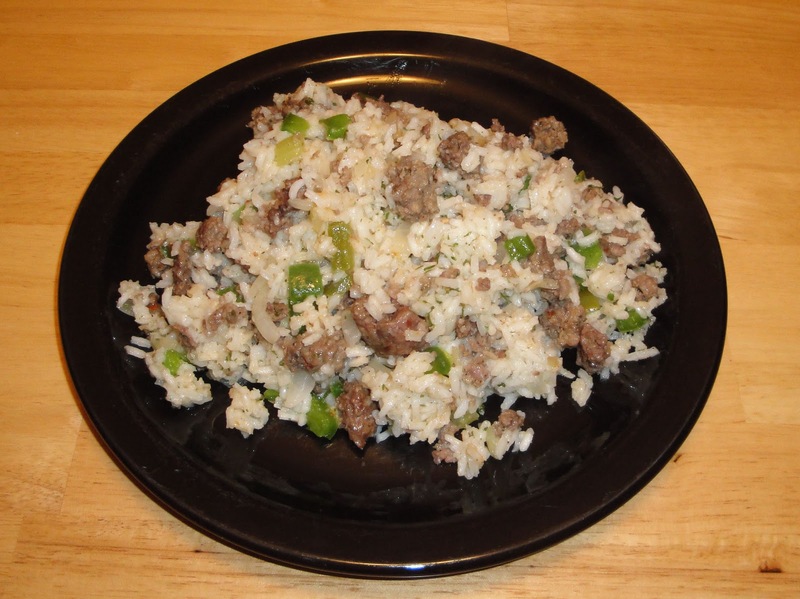 Dirty rice is a traditional Cajun dish made from white rice cooked with small pieces of chicken liver or giblets, which gave it a dark "dirty" color. Other chefs from around American South used ground beef and sausage. Another name for Dirty Rice is Cajun Rice. I adore dirty rice--have ever since I went to school in New Orleans. However, I don't like working with livers, so yours is a nice change of pace. Sounds great Christine1 I love dirty rice. I've had it with chicken livers in it too which is good (and one of the few ways I'll eat liver lol) but I love the sounds of the ground pork in your version. My family doesn't like liver, so I decided to use ground pork. It's funny, I've always wondered where "Cajun" came from! This dirty rice looks and sounds delicious, I'll have to give it a try. Oh yum. This looks delicious. very interesting name! sound so yummy. Thank you everyone. Your comments are very important to me. YUM!!! It's easy - up my alley and one of my favorite things to eat. Cajun cooking - interesting origin. Dirty rice, hey? My hubby loves rice. It's pretty much a staple for him.